Free College, Enroll by May 25 to start taking classes this summer! We are currently accepting applications for the upcoming semester of the UFCW’s free college benefit until Friday, May 25. 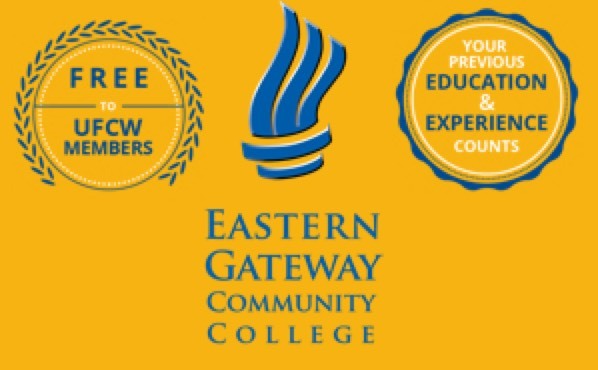 Whether you just finished high school or have been waiting for the right moment to go back to school, the UFCW free college benefit helps members and their family members (including spouses, children, step-children, grandchildren, domestic partners, and financial dependents) take online classes to earn an associate degree. Signing up for this exclusive UFCW member benefit is simple and will save your family thousands of dollars. Please click here to visit the UFCW Free College Benefit website to enroll in classes or learn more. All you need to get started is a high school degree or GED. Do not worry about studying for any entrance exams. Go to ufcw.org/college to learn more.